In this article, we'll show you how to copy shifts (and timesheets) to multiple days and weeks. Click on a cell or a shift/timesheet to open the form pop-up like the one below. Next, click on the Copy tab and choose the days you would like to copy to. Submit the form and the shifts will be copied to the days you selected! Need to repeat shifts weekly? 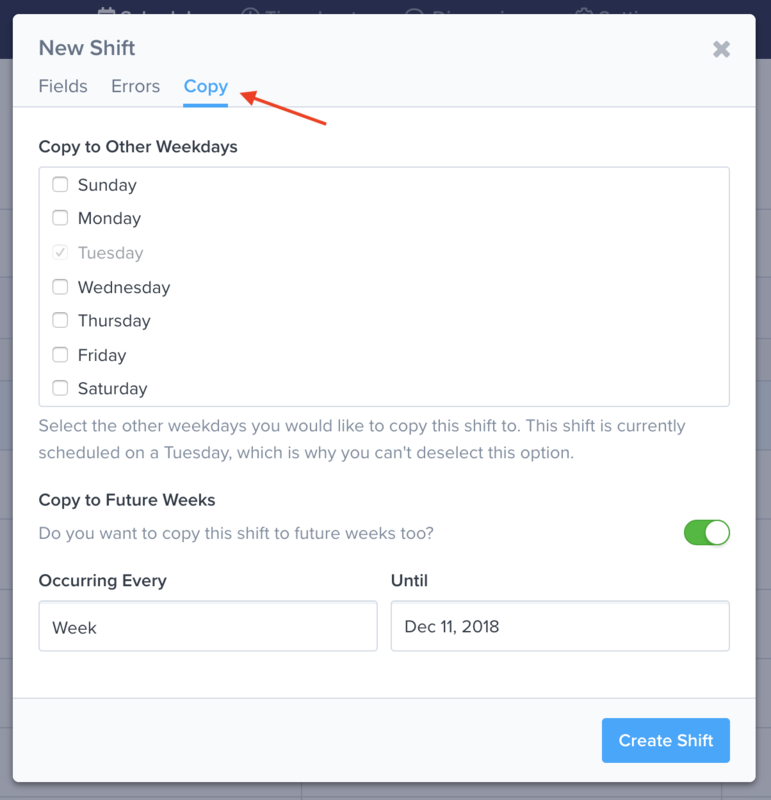 You can copy (repeat) the shift to future weeks by enabling the Copy to Future Weeks option and updating the Occurring Every and Until fields. Note: Repeating shifts are not correlated and cannot be edited or deleted as a group. If you want to learn about deleting shifts, read this article.